steak (gently) with olive oil and sprinkle with your seasonings. Grill for about 5 minutes on each side until tender and charred. Add all ingredients to a food processor and process until smooth. 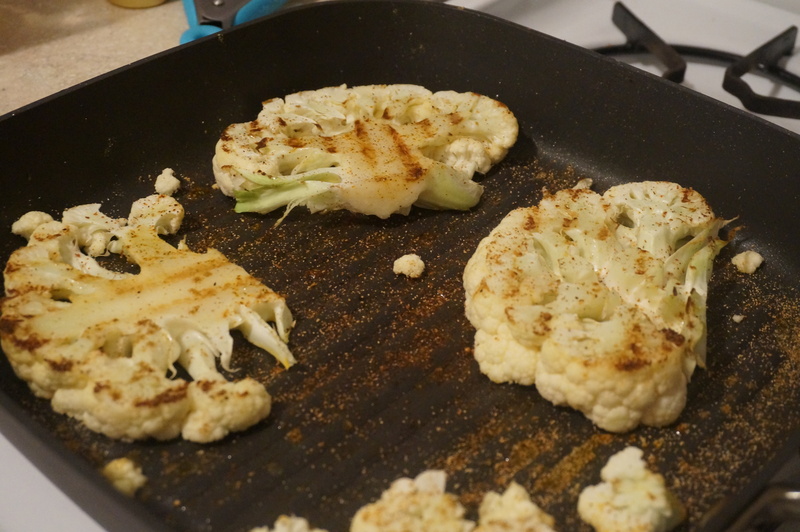 Pour the Romesco over the cauliflower steak. 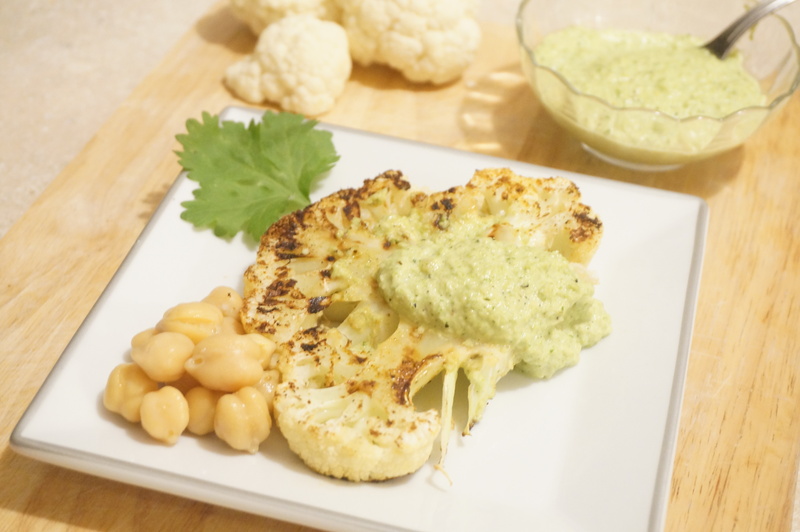 Enjoy with chickpeas for added protein.